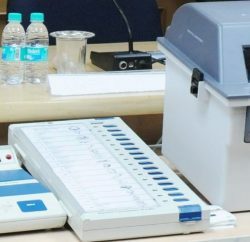 Shimla: In Himachal Pradesh Elections 2017, as many as 50, 25,941 electors in the state will elect their representatives to 68 Assembly constituencies of the state. Out of this 25, 31,321 are male, 24, 57,032 female other gender 14 and service voters 37,574. To ensure free, fair and transparent election, a polling staff of 37,605 persons comprising of 7,507 teams have been deployed for poll duty. 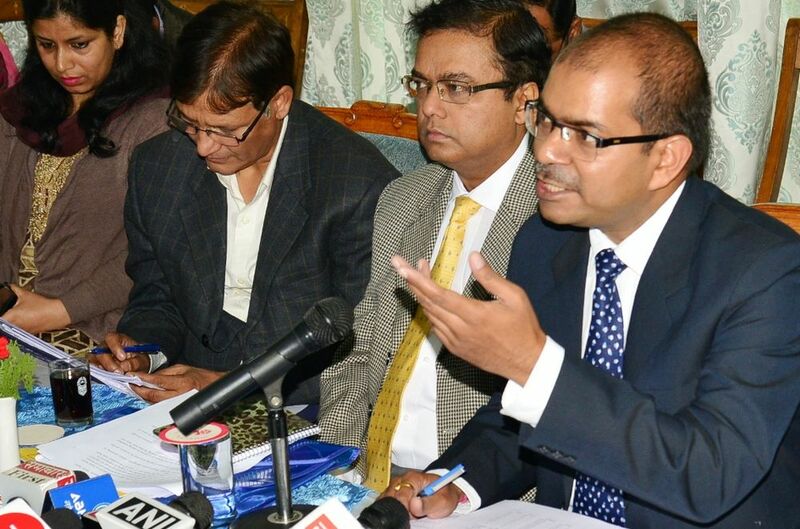 This was disclosed by Chief Electoral Officer Pushpendra Rajput to press here today. Rajput said there are 7521 polling stations in the state with 42 auxiliary polling stations, 598 in urban and 6,923 in rural areas. Of these, 21 polling stations are less than two kilometers of distance, 20 more than 2 to 5 kilometers and 24 having a distance of more than five kilometers and above. In addition to this, 136 polling stations are to be manned by all women staff. In order to facilitate residents of old aged homes and leprosy inpatients, five auxiliary polling stations have been set up in five constituencies of the state. Dari-3 for old age home Gabli in Dharmshala, Kee in Lahaul-Spiti, Bhangrotu-1 for Vrid Ashram Bhangrotu in Balh, old age home Basantpur in Shimla Rural and Dharampur-1 for Leprosy Hospital Dharampur in Kasauli. Hikkim in Lahaul-Spiti is the highest polling station, where Kaa in district Kinnaur is having only six voters. 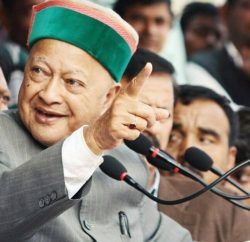 In Himachal Elections 2017, total number of 338 candidates 319 male and 19 female will vie for 68 segments. Rajput informed that election material has been dispatched including ballot papers, postal ballots to service electors electronically with required password so that the electors could cast their vote. Photo voter slips in the state will be distributed by 2nd November to all the voters. In addition to this, voter slips have been printed in braille for visually impaired persons and will be delivered by 2nd November. The Election Department has received as many as 141 complaints of violation of model code of conduct so far out of which department has disposed 110 off and 31 are pending. 112 other complaints were also received out of which 26 disposed off and 86 pending. 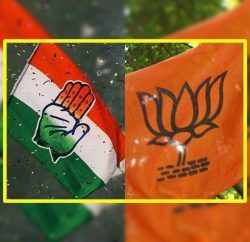 The Department has ensured to remove 2,215 hoardings, 3,067 banners, 2,309 wall paintings, 4,991 posters and 15,718 party flags from various places in the state. To ensure clean election, the department has ordered for extra vigil and Police and Excise department have jointly seized 1, 12, 29,050 rupees of cash so far. Apart from it 67,436 liters of liquor were also seized. In addition to this, police has also seized 554 gram Opium, 9 kg Charas, 18.98 kg Poppy Husk, two kg Ganja, 15 gram Heroine, MDMA 1 kg, 50 Cocaine capsules, Smack 41 gram, 2.98 kg gold and 44,000 posters with 28 bags of printed material so far. Additional Director General of Police (Law & Order) Dr. Atul Verma said that all arrangements and adequate security has been pressed into service for conduct of peaceful election in the state. 15 companies of para-military forces have reached in the state, 50 will reach within short period and request will be made for 10 more companies to be deployed in the state. Total 75 companies of para-military forces will be deployed during election. In addition to this, 11,000 police personnel, 6,000 Home Guards Jwans including 1,000 from Uttarakhand will be deployed during this period for smooth conduct of election. He said the entire polling stations have been categorized into ordinary vulnerable and critical polling stations. 980 polling stations are vulnerable, while 360 are critical.